If you've ever questioned how to make math stations work, you'll find this photo-filled, idea-packed resource invaluable. 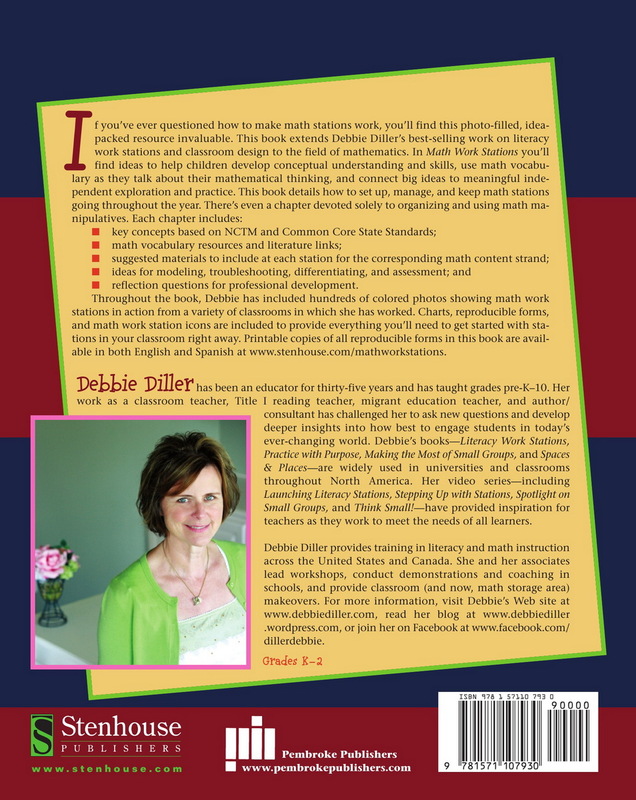 This book extends Debbie Diller's best-selling work on literacy work stations and classroom design to the field of mathematics. In Math Work Stations you'll find ideas to help children develop conceptual understanding and skills, use math vocabulary as they talk about their mathematical thinking, and connect big ideas to meaningful independent exploration and practice. 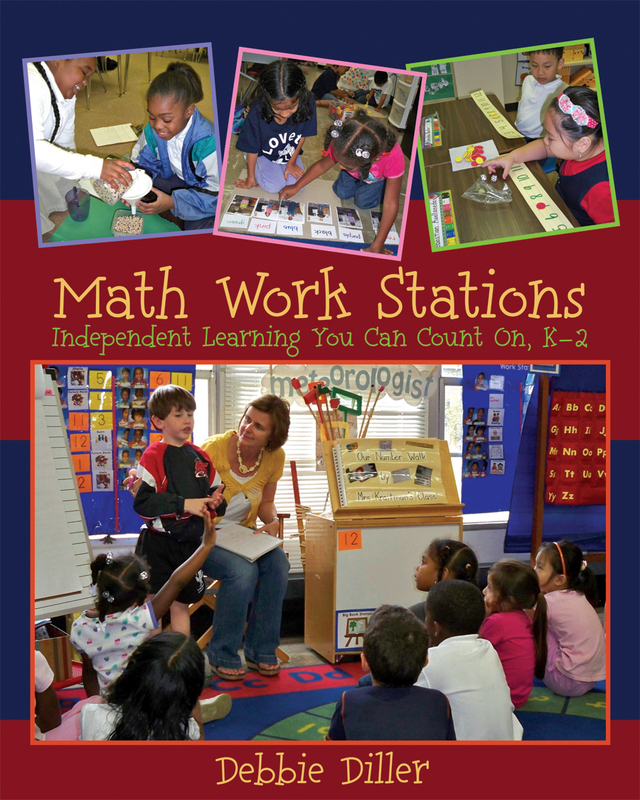 This book details how to set up, manage, and keep math stations going throughout the year. 1. What Is a Math Work Station?